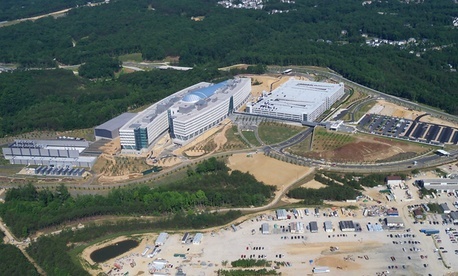 The move to centralize components of the National Geospatial-Intelligence Agency at one site in Fort Belvoir, Va., has become the latest example of projects under the base closure and realignment process that have exceeded cost projections. Consolidating scattered offices to enhance the satellite intelligence agency’s personnel safety cost $2.5 billion rather than the $1.4 billion projected by the 2005 BRAC report, according to a Government Accountability Office analysis that attributed the overrun to miscommunication about data storage space needs. The relocation of some data storage capabilities into a facility known as the Technology Center ended up costing more than planned “because new requirements were added for supporting facilities that NGA identified as essential to mission operability,” a GAO auditor wrote in a June letter to congressional defense committees. Taking advantage of the full space would have gone beyond the BRAC requirements, so the scope of the project was changed, but without sufficient communication with the Office of the Secretary of Defense, the Army or Congress, auditors found.